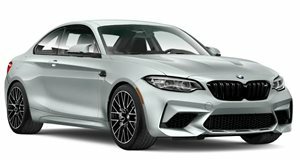 They may just be two of BMW M’s best cars in more recent years, the 1 Series M Coupe and its successor, the M2. Both harken back to the days when BMWs were smaller, lighter and packed plenty of power and driving pleasure. Well, BMWs are still fun to drive and are mighty powerful, but somewhere along the way the German automaker went more mainstream and lost some of that purist edge. The 1 Series M Coupe and M2, as Top Gear co-host Chris Harris proudly demonstrates, are clear reminders that BMW is still in touch with its roots. Launched in 2011, the 1 Series M Coupe (don’t call it the M1), is really more of a skunk works project done by BMW engineers during off-hours. It’s not very refined but it is an absolute blast to toss around. As for the new M2, it clearly picks up where the 1 M-er left off, only with an added dose of sophistication. It’s the better daily driver, but is it the better BMW M car? Harris, proud owner of the black 1 Series M Coupe featured in this video, drives both cars to not only compare them, but also to simply relish the experience these Ultimate Driving Machines provide.